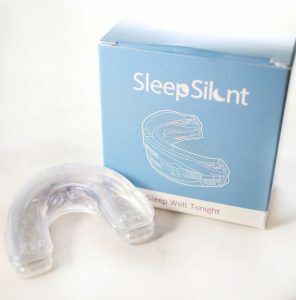 I’ve tested many types of anti-snoring devices, including pillows, nasal dilators, and mouth guards. This time around, I’m reviewing a different type of product: An Expiratory Positive Airway Pressure (EPAP) device called Theravent. 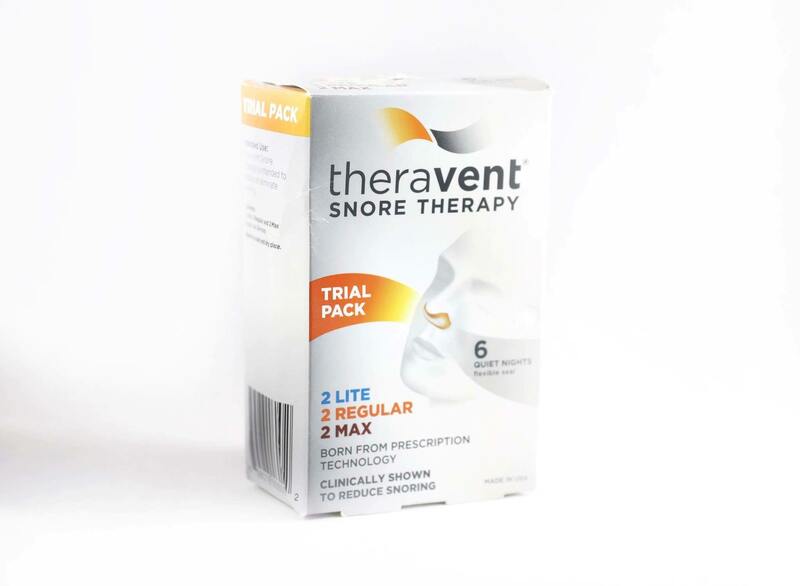 First, Does Theravent Work to Stop Snoring? I tried the Theravent for multiple nights and found that it did not work for me. This is because I snore through my mouth. You can read more of my experience below. Clinical studies show that mouthpieces, like SnoreRx, zQuiet, and Zyppah work better than nasal aids for snoring. However, this device works for nasal snorers. Reviews on Amazon are all over the map- some people really love the Theravent and claim it has cured their snoring, while others dislike the product. Theravent is a user-dependent product. It works for some people, but not for all. To test Theravent for yourself, be sure to purchase the Trial Pack Here. Expiratory Positive Airway Pressure (EPAP) devices are used to treat snoring. An EPAP device builds up pressure in the nose to stabilize the airway, which eliminates vibration. EPAP devices are also used by people with mild to moderate sleep apnea who find it difficult to sleep with a CPAP machine. EPAP devices are small bandages placed directly on the nostrils with two small valves that permit air to flow in but not easy exhaling. How the EPAP works at reducing snoring is not entirely clear. It is hypothesized that a buildup occurs due to the resistance to nasal exhalation, which increases respiratory drive. Another theory is that the resistance to exhalation creates pressure that forces the upper airway to open wider. The Theravent EPAP is a popular product. It is available through online retailers like Amazon. The company has a $9.99 trial package with three different strength levels (Lite, Regular, and Max), which allows you to determine which strength of the Theravent works best for you. 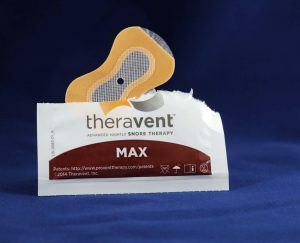 Theravent is an adhesive bandage with microvalves. The bandage is placed over the nostrils. When you breathe in, the air vents open. When you breathe out, the air vents partially close, making your exhalation breaths slower. The slowed down exhalation forces air to pass through your relaxed airways at a slower rate, resulting in quieter snoring. The blocked breathing also prevents the nasal airways from relaxing as much, reducing the sound of snoring. Theravent Video Of Unboxing – How it works. I ordered the new customer trial pack for $9.99 directly from the Theravent site, which includes free shipping. I was pleased the trial package included multiple strength levels (Lite, Regular, Max) so I could test which one would work best for my snoring. I tried the lite and regular strengths and, per the manufacturer’s recommendations, started with the mildest strength strip the first night. You can find better deals on Theravent trial packs at Amazon as well. I used my snoring app to record my snoring so I could compare the noise level with the Theravent against my baseline snoring. On the first night, I didn’t notice any reduction in my snoring rate throughout the night. However, my wife and I were traveling, and when I played back my Snoring App recordings, I realized that the app had picked up the noise from cars driving by and the fan running in the room. Because of the interference, I did not think this was a valid test of the Theravent, so I tried it again the following night. The next night, I used the second and last lite strength Theravent strip in the package. Results from the Snoring App showed an average amount of snoring (if anything a little higher) and no decrease in snoring. Either I do not respond to EPAP or the Lite strip is too mild for me. I decided to bump it up to the regular strength. The third night, with the regular strength Theravent, I noticed a difference in my breathing immediately. The Theravent made it harder to exhale, forcing my breathing rate to slow down. When I checked the snoring app in the morning my rates were average for the night, with no decrease. I did notice, however, that the adhesive had come loose from the lower portion of my nostrils, so once again, I had a night of results that didn’t count. At this point, I realized this product takes a lot of trial and error and at over $1/night, the costs add up. I was down to three strips left and I still had not determined if the Theravent works for me. I tested again one more night using the regular strength strip. My sleeping conditions were perfect- no external noise factors, no slipping of the bandage. In the morning, I saw that my snoring was at 43% and I had a snore score of 70. This was a terrible result. It was one of the worst nights of snoring I’ve had. After several nights of testing, my conclusion is that the Theravent does not work for me. I am a mouth breather and snorer (instead of nasal), and using the Theravent did not help reduce the sound of my snoring. I found the Theravent to be non-invasive and comfortable to wear. The manufacturers do caution it might take a couple of nights to get used to the feeling of the bandage on your nostrils, but I did not have that experience. 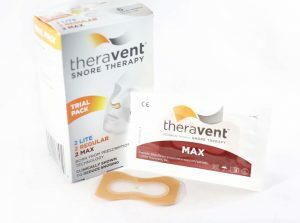 If other anti-snoring devices did not work for you, the Theravent might be worth the investment. Theravent is available at most drug stores and online, making it accessible and easy to purchase. While the reviews are all over the map on this product, in the end, it did not work for me. Studies show that some people respond to the Theravent and others don’t. At over $1/night, the Theravent can get pricey, quickly. So, unless this product really works for you, I don’t think it is worth the money. Because the Theravent covers the nostrils, you really can’t use it if you have allergies, a runny nose or a cold that may require you to blow your nose during the night. The adhesive is strong, but it can still become unstuck during the night. 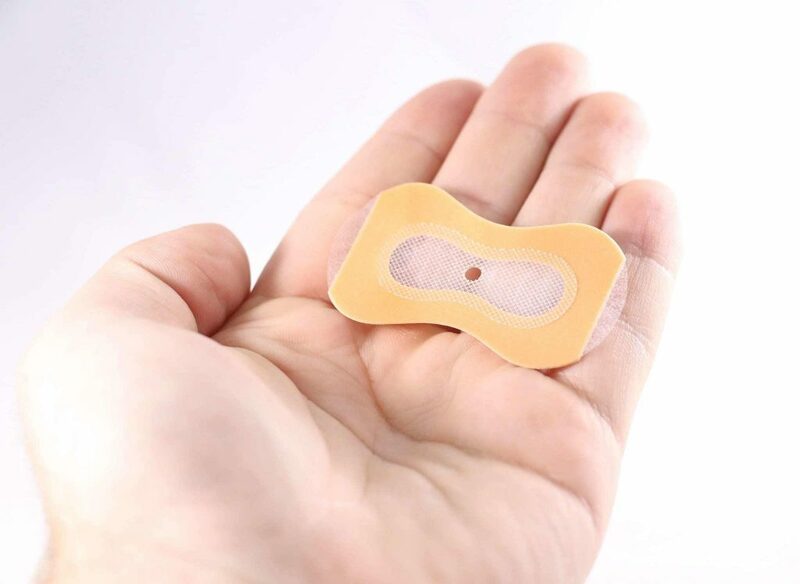 Taking an adhesive bandage off can hurt, regardless of where it is on your body. Your nose is no different and taking off the Theravent can be painful. Ripping a bandage off every morning is not my preferred method of waking up!